Got A2 for Physics. Thank you. Home » Testimonials » Got A2 for Physics. Thank you. 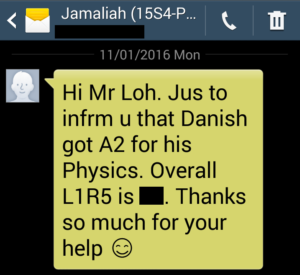 Hi Mr Loh, just to inform you that Danish got A2 for his Physics. Thanks so much for your help.